Exclusive private luxury stays. You are the only guests. 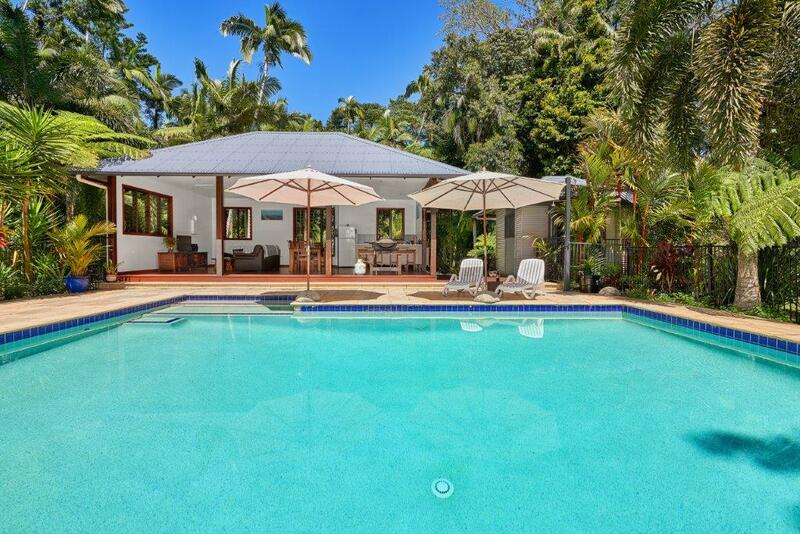 Mission Beach private luxury accommodation, North Queensland. You are the only guests. 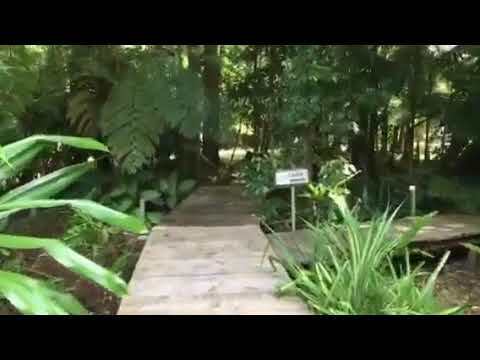 Lost Paradise is located 10 minutes from Mission Beach, North Queensland, Australia. We offer luxury private stays for couples looking for Mission Beach accommodation. 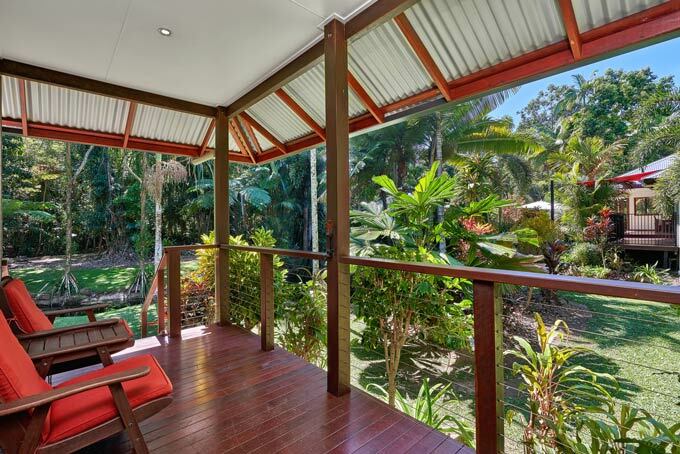 You’ll be surrounded by the lush, tropical rainforest of far North Queensland. Lost Paradise is the perfect romantic getaway. 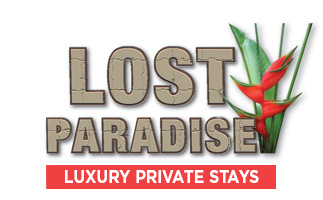 Our Mission Beach accommodation guarantees you privacy — you are the only guests at Lost Paradise. You’ll have exclusive use of a large outdoor pavilion with a resort style pool and relaxing spa tub along with outdoor entertaining facilities including a barbecue, refrigeration, seating, table and chairs. The accommodation is suitable for up to 4 people. With the Great Barrier Reef, Tropical Islands, Cairns, Townsville and the Atherton Tablelands close by, Lost Paradise is the ideal central location for your North Queensland holiday. While you’re staying with us, take the ultimate in relaxation and experience our exclusive Serenity Spa & Massage. 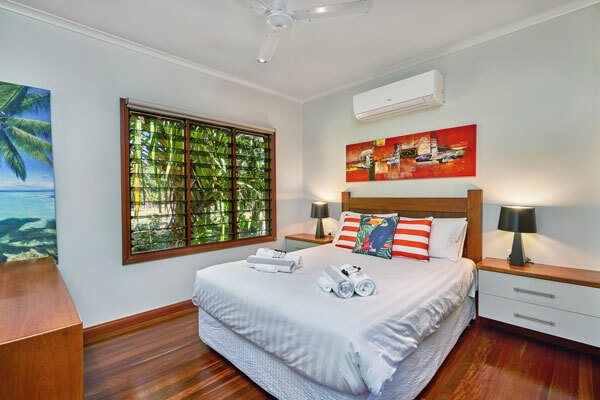 Mission Beach private luxury accommodation, North Queensland. You are the only guests. We offer luxury private stays for couples looking for Mission Beach accommodation surrounded by lush tropical rainforest. Our Mission Beach accommodation guarantees you privacy — you are the only guests at Lost Paradise. You’ll have exclusive use of a large outdoor pavilion with a resort style pool and relaxing spa tub along with outdoor entertaining facilities including a barbecue, refrigeration, seating, table and chairs. The accommodation is suitable for up to 4 people. Experience Lost Paradise for yourself. 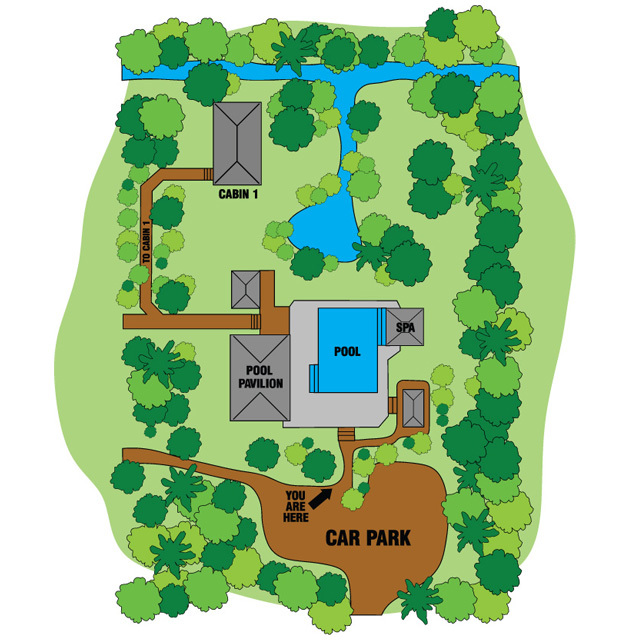 A wonderful oasis of relaxation and seclusion, with every modern convenience you need. We love coming here and will return again. Thank you for creating the perfect getaway. We feel like royalty staying here. Book your private, luxury stay at Lost Paradise. Click the Check-in box and choose your dates. 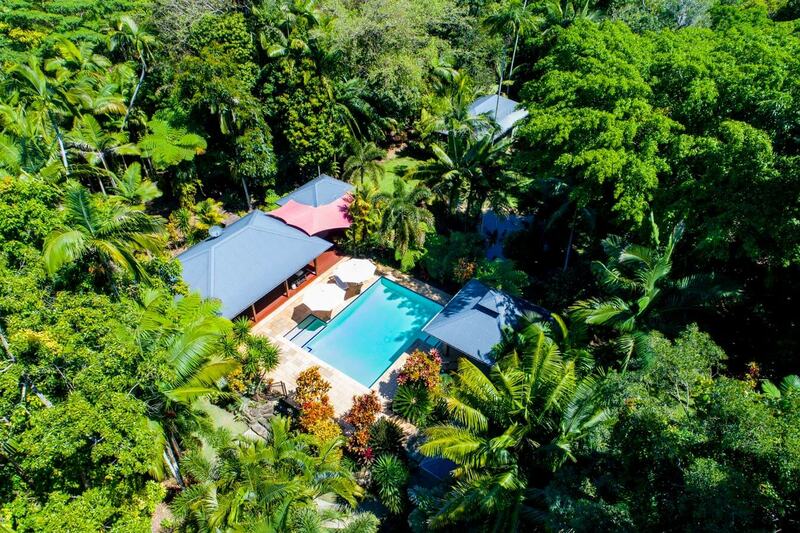 Lost Paradise is hidden amongst the Tropical Rainforest of North Queensland. Enjoy guaranteed privacy and exclusive use of a large outdoor pavillion with resort style pool and relaxing spa tub. Discover the perfect romantic getaway. Private and secluded, you will be absorbed by the tranquility of the natural surroundings at Lost Paradise. For the ultimate in relaxation, take advantage of Serenity Spa & Massage. Lost Paradise has earned a reputation for providing the best quality, private luxury accommodation to each and every visitor. Our award winning gardens are always well maintained. We strive to preserve our 100% Customer Satisfaction rating. Surrounded by natural rainforest, your private resort style pool and spa is the perfect way to relax in the tropics. Our visitors love spending time poolside in the Pavillion and BBQ area. All of the modern conveniences available poolside. Relax, unwind and indulge when you experience Serenity Spa & Massage treatments. You’ll wish you could stay forever! My fiancé and I stayed at Lost Paradise, Mission Beach and it was so relaxing. From the beautifully appointed accommodation to the exclusive use of the pool/spa pavillion, we were ensured complete privacy and total satisfaction. We are looking forward to returning soon for another private getaway in this truly ‘Lost Paradise’. What a totally relaxing holiday let, which truly is a Lost Paradise. We enjoyed every second of our stay and we believe we have found Heaven on Earth. We thank you for allowing us to share your “Lost Paradise”. This property is just brilliant!!! Thank you so much for allowing us to be a part of your tropical paradise. You should be proud of your “Lost Paradise” creation as it is truly a breathtaking property, built to perfection with such a serene ambiance. It was a lovely relaxing experience and we look forward to come back again. Further enquiries about your romantic luxury Mission Beach accommodation to Lost Paradise may be directed to us by the contact form, phone or email. Ask us online about Lost Paradise. We're here to help you with any enquiries. Further enquiries about your luxury Mission Beach accommodation to Lost Paradise may be directed to us by the contact form, phone or email.